Do you need expert heating or cooling solutions for your home? Call Fox at (253) 872-7712 for experienced Kent air conditioner and heating repair and installation solutions today! When it comes to the temperature in your home, having a properly functioning heating and cooling system is critical. When components like water heaters, furnaces, AC systems and heat pumps are damaged, getting professional services is imperative to the well-being of your home and family. At Fox Plumbing & Heating we can solve you problems efficiently and professionally. We are your local contractor in Kent and nearby areas for emergency plumbing and HVAC needs, as well as new installations. Whether you need a basic repair, or you need to replace your entire system, our heating and AC professionals have the skills and expertise needed to solve your problems before you feel any discomfort in your home. See what some of our past customers have to say about our HVAC services here, and call us to schedule an inspection for your Kent cooling and heating systems today! From gas furnace installations to AC repair and heat pumps - we do it all! The air conditioner in your home provides you with cooling and comfort solutions. Over time however it can become damaged, resulting in serious issues. When your air conditioner fails, contact us for immediate help. Our team can get to the source of the problem quickly and fix the issue. We will also make sure your unit is safe from recurring problems by ensuring that we get the job done right the first time. We also guarantee your 100% satisfaction, providing you with peace of mind all year long. When it comes to your Kent furnace, there are various signs that you can look for that will help you determine whether or not your system is need of care. These issues are all symptoms of a furnace in need of repair. Our professionals will inspect your furnace and determine the source of the problem. If you need repairs we will perform them accordingly. If you need to replace the unit altogether, we will also help you in choosing the best unit for your home, performing the highest quality installations as well. When was the Last Time Your Air Ducts Were Inspected? The air ducts in your home are responsible for providing you with a constant flow of air. When they are damaged or dirty, this can result in impurities reaching the air your breath. In turn this can affect people within the home and even result in serious health issues. Our experts provide industry leading air duct cleaning and repair solutions to remedy these problems once and for all. We provide intricate cleaning services and can repair leaks and damage accordingly. We will always ensure that the ductwork in your home is working perfectly at all times. Why Choose FOX HEATING & COOLING Specialists? 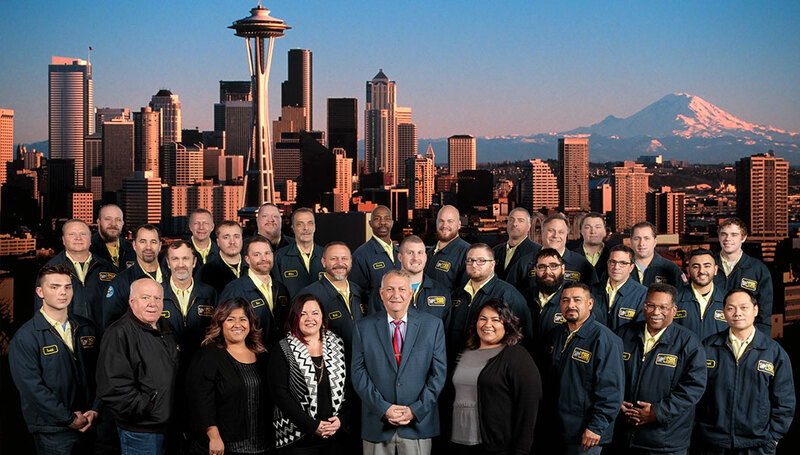 We’re proud of our great customer relationships in Kent and the Greater King County Area, and have won awards from: Angie’s List, Seattle’s Talk of the Town, and the US Commerce Association for excellence in customer service and business. Fox Plumbing & Heating operates 24/7 for all your plumbing, water heater, heating and air conditioning needs in Kent and Greater King County. Are you looking for industry leading heating and cooling services for your home? Call Fox at (253) 872-8251 and receive premium HVAC services today in Kent! When you're tired of the rest and ready for the best, talk to Fox! The crew at Fox Plumbing &amp; Heating installed a new gas furnace in our home last week. Everyone at Fox, from Bobby, the estimator, to Chris and his installation team - the quality service, installation and premium equipment - were great. Thanks!